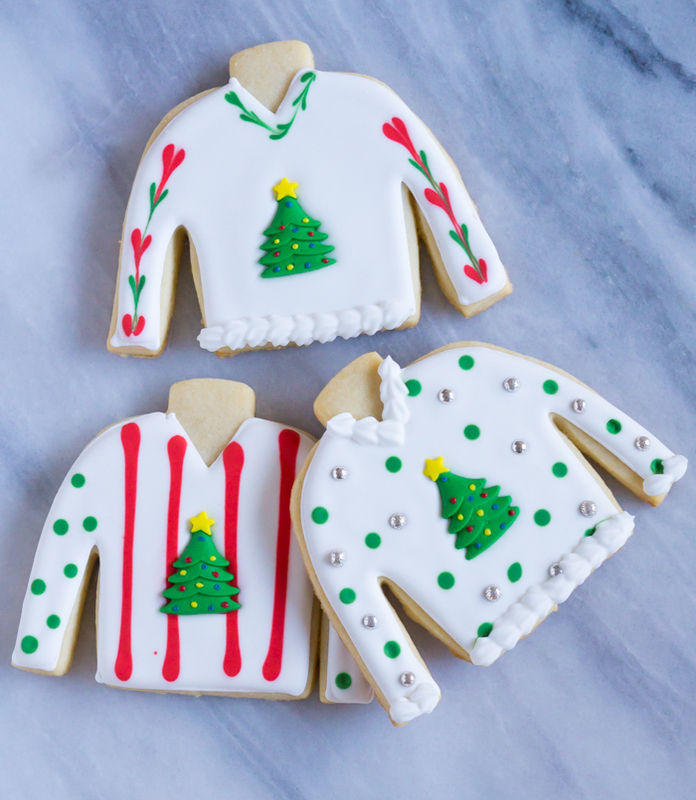 I had THE MOST FUN making these cookies. There's a lot less pressure to make cookies that are supposed to look ugly. 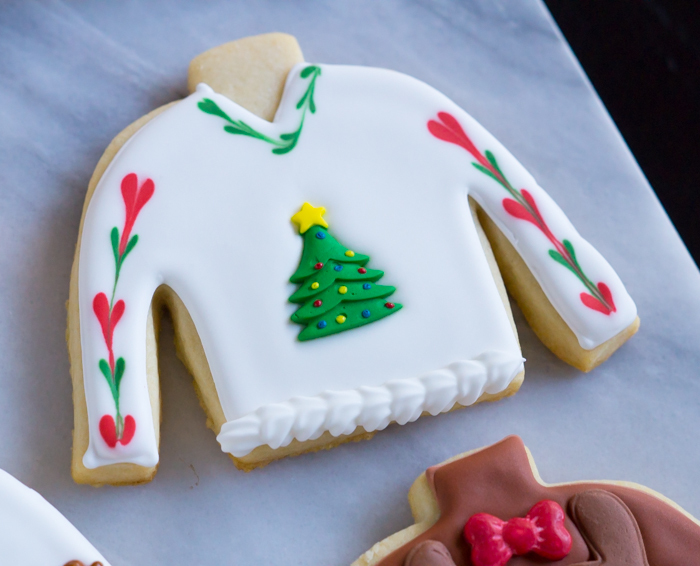 These are easy-peasy, can't-mess-them-up, no-wrong-way-to-make-them, uses-a-shortcut Ugly Christmas Sweater cookies. 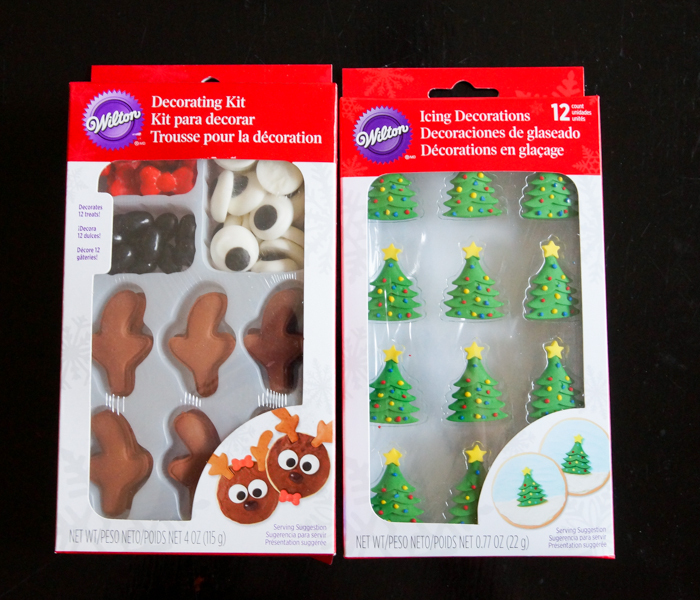 First, you'll need some pre-made icing decor. Find these at Target, WalMart, Michaels, etc. etc. There are so many to choose from! 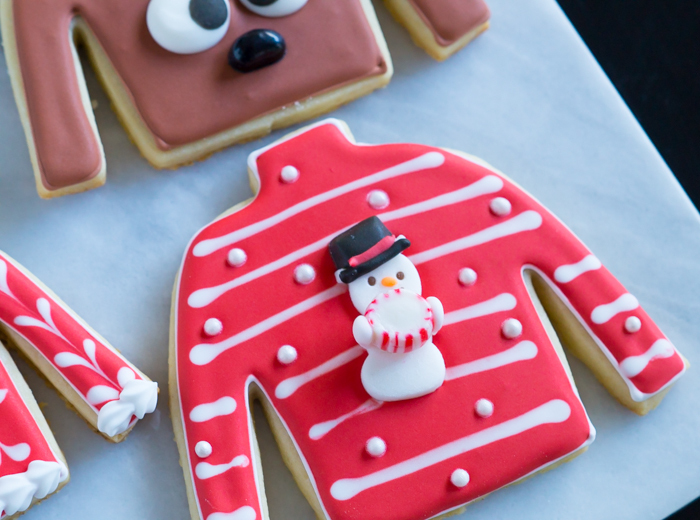 Make up your favorite cut-out cookies. 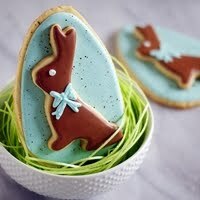 I used the vanilla almond cut-outs that I make for almost everything. You'll also need royal icing. Make, divide, and tint. Oh, don't forget the sprinkles. Non-pareils, gingerbread men, sugar pearls...whatever you have on hand. 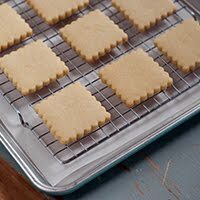 Make the cookies, outline, and flood with thinned icing. 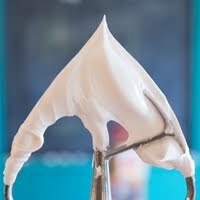 To make thinned icing, add water a bit at a time, stirring gently with a silicone spatula. 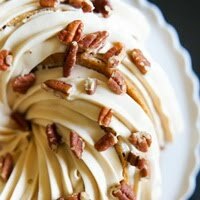 Thin until a ribbon of icing dropped back on itself disappears in a count of "one-thousand-one, one-thousand-two." A little thicker is fine, but don't go thinner. I like to pour this icing into squeeze bottles. Use a toothpick to guide to edges and pop large air bubbles. Drop on color on top of another to make the dots and lines. These heart sleeves were made by dropping dots of icing, then running a toothpick down the center. 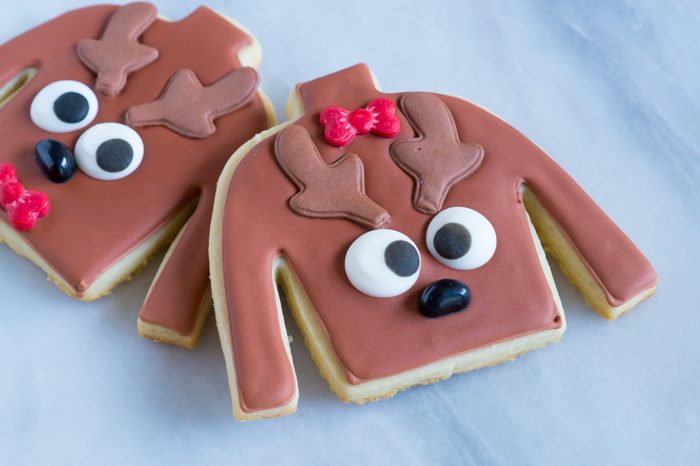 These reindeer were the simplest to make, but I think they're my favorite. I'm kind of crazy about these gingerbread elbow patches. PS: I would totally wear a sweater with gingerbread elbow patches. Is that so wrong? This one just has some stripes and added sugar pearls. 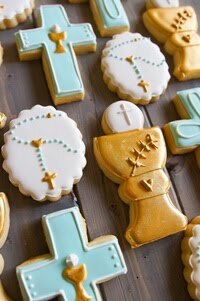 Add trim by using piping consistency icing and a small star tip. 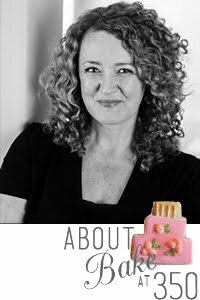 A note on adding large pre-made icing doodads...let the icing rest a bit before placing the add-on. Sometimes a large air bubble can get trapped underneath if you place it on wet icing immediately. 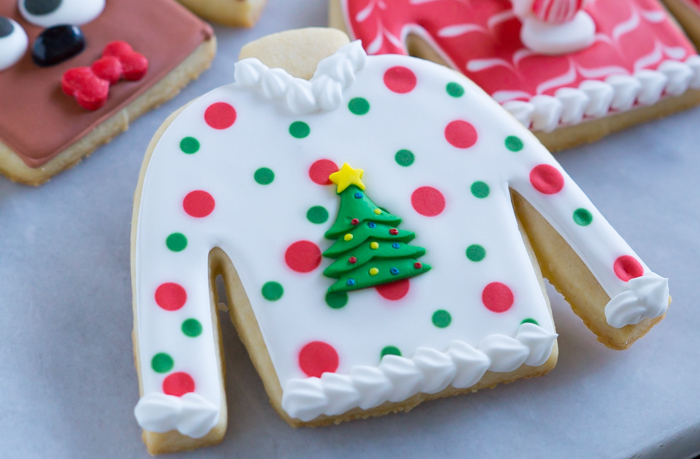 Ugly Christmas sweater cookies, you look pretty cute to me! You failed, BIG TIME! 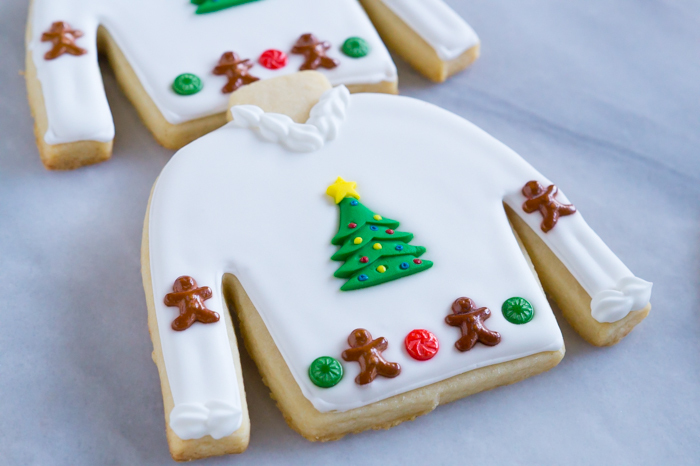 The cookies are so cute -- a far cry from ugly :-) I love them - I'd wear a sweater that looks like any of your cookies. Have a great weekend. 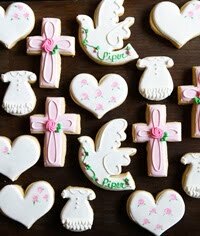 Bridget...how darn cute!You are such an excellent baker and so creative. These are soooo cute, I love them, Bridget!! 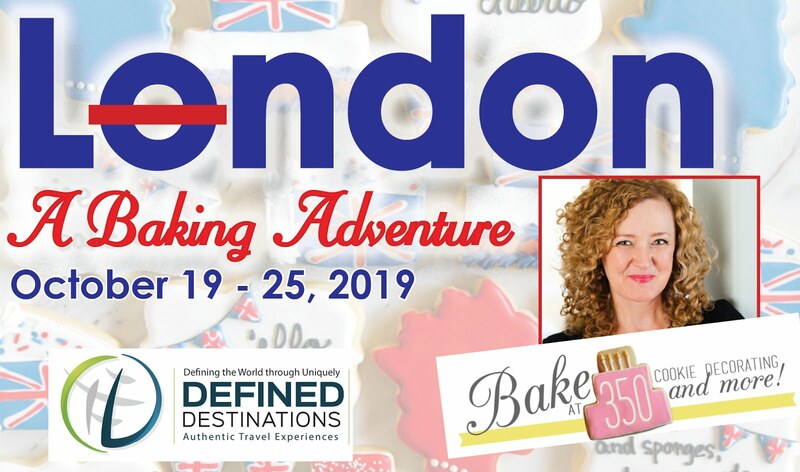 I'm serious, I hope we get to decorate cookies together next year!!! 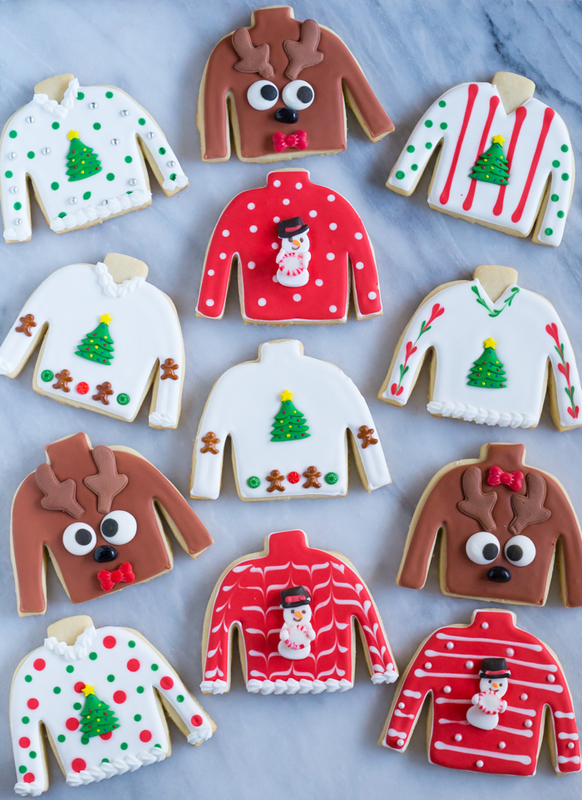 I was having trouble deciding what this year's holiday cookies would look like, and your post provided the perfect idea! Thank you for all the inspiration you've given me over the years. I don't think they're ugly at all, they are adorable!! This is when you can design the sweater that you like, but have never be brave enough to wear. 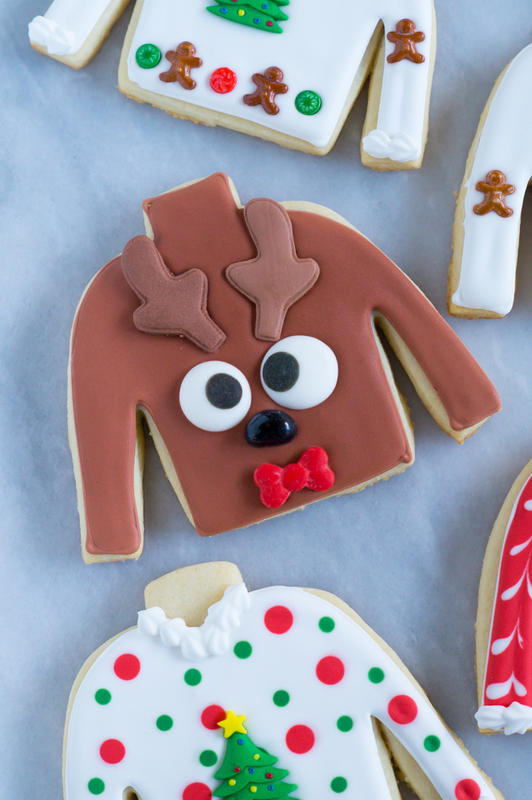 That's why Ugly Sweater cookies were invented I think. I also think the Ugly Sweater fad came along because deep down inside almost everyone DOES like wearing Christmas sweaters but always felt too "cool" and too self-conscious to do so. So now people, who would have never been caught dead in one can wear it and blame it on "the fad". Next will be the fruitcake. I happen to know a variety of people who DO like fruitcake. My mother is one. But, I also have a really great recipe that was a great aunt's who made it every year. She was fanatic about the ingredients, all from freshly cut scratch. No preshredded coconut, etc. Im not quite so fanatic as i have far too much baking to do. It was also the only thing in my 18 years (my age many years ago when she passed away with lung cancer from being a chain smoker and living on cigarettes and Pepsi). But,it is a great fruitcake. Its called White Fruitcake as it doesn't have all that molasses in it. Its lighter and better and we allow it to absorb whiskey.